I was searching for Star Wars artwork when I found this. 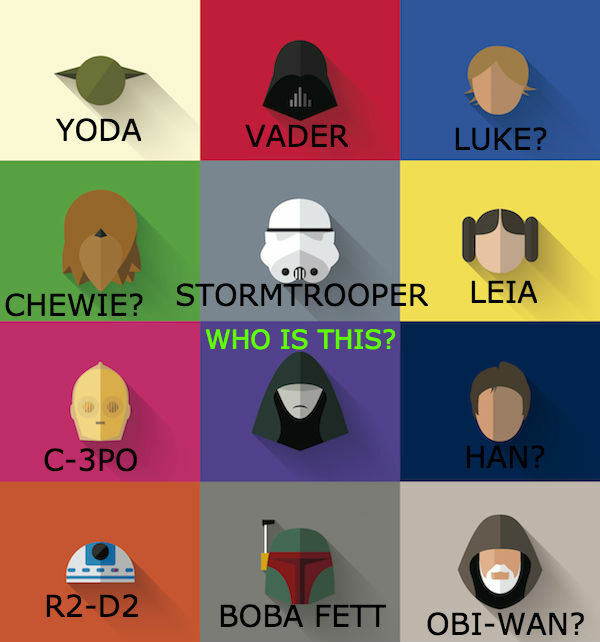 Being minimalist artwork, it's hard to tell who some of the characters are since they lack detail. I've been able to guess most of the characters (but I could be wrong about some of them) but I have no idea who the middle one is. All of them look right to me. Every other character is from the original trilogy. Why would there be a single exception to that rule? If that part of the image wasn't there, would you say "Where's the Inquisitor who wasn't even in the same movie series as these other characters?" No. Would you think "Why didn't the artist draw one of the random Death Star personnel in funny bowl helmets who are only onscreen for a few seconds?" No. But you would probably say "Why the hell didn't the artist include the main antagonist of the franchise to date?" 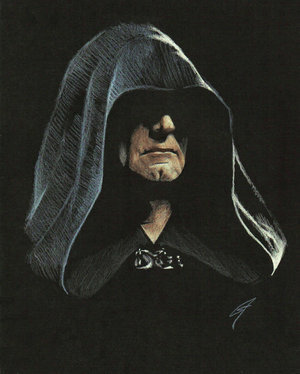 That antagonist is Palpatine. These are the main players in the original trilogy - the iconic figures whose images are engraved in the memories of billions of people. Bowl-head Death Star guys and the Inquisitor are insignificant and almost unknown. This picture was posted to the artist's website in June, 2014. It is presumably somewhat older than that. 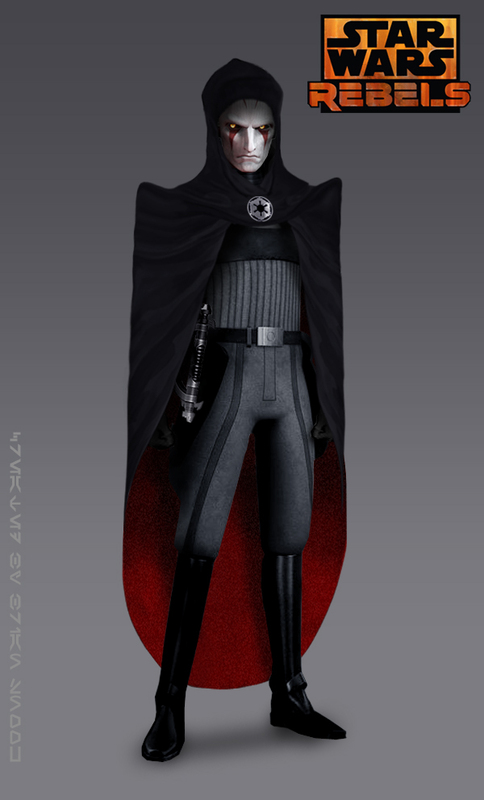 Star Wars: Rebels premiered more than 4 months later, so the artist couldn't have known who or what the Inquisitor was, let alone what that character would look like. Taken together, it is clear that the only character who would be a logical choice, and who actually looks like this picture, is Palpatine. Where in the Star Wars original trilogy does this translucent green orb in a circular dish appear? Are these two women existing Star Trek characters? Which characters does this LOST promo refer to? How much of the Death Star did the stolen plan cover? Star Wars: Battlefront II EA Trailer - Who is the figure in red giving Versio orders? Who is this character in the video for “The Saga Begins” by Weird Al Yankovic?